I just returned from a two day Systems Thinking-Systems Practice seminar in Seattle. 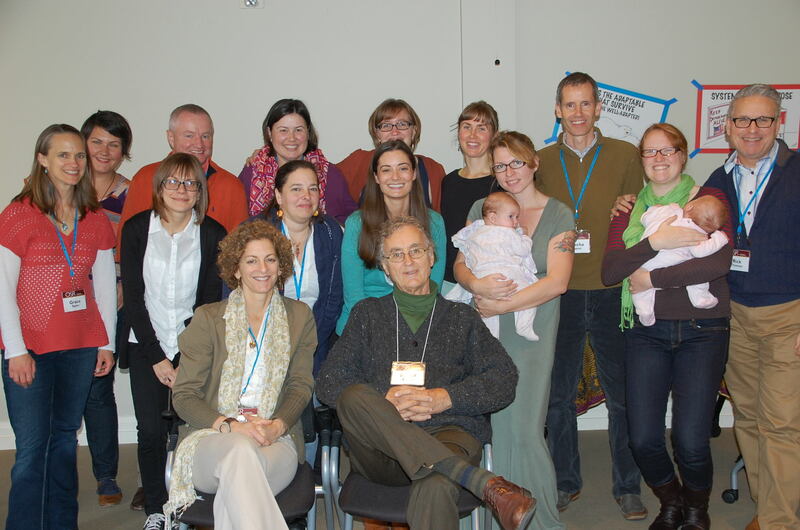 Fritjof Capra* and I partnered to run the seminar for a remarkable cohort of Organization Systems Renewal (OSR) students at the Bainbridge Graduate Institute. 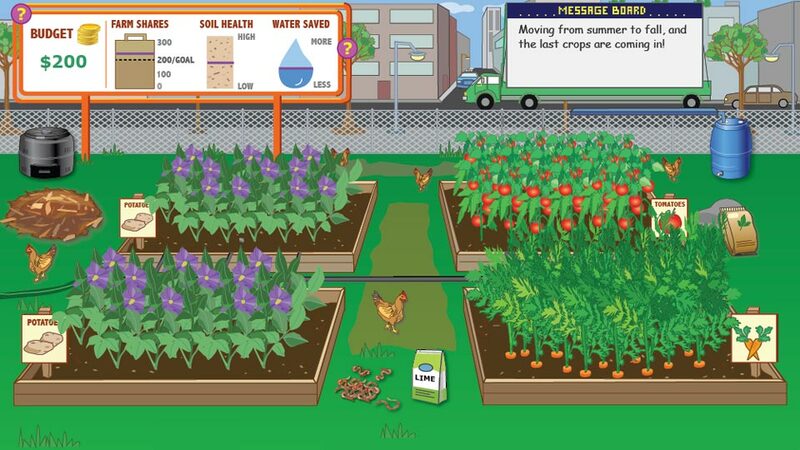 I could dedicate this blog to OSR, a one-of-a-kind, two-year master’s program that takes a deep dive into applied systems thinking and design thinking. But for now, I just want to crow! 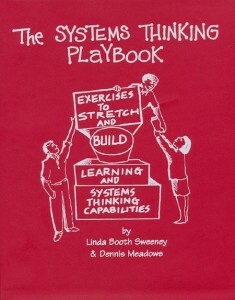 Throughout the two-days we used activities from the Systems Thinking Playbook, a book I first wrote in 1995 and then co-authored second and third volumes with master systems dynamicist Dennis Meadows. Eighteen years later I am delighted say, this little red book is still chugging. 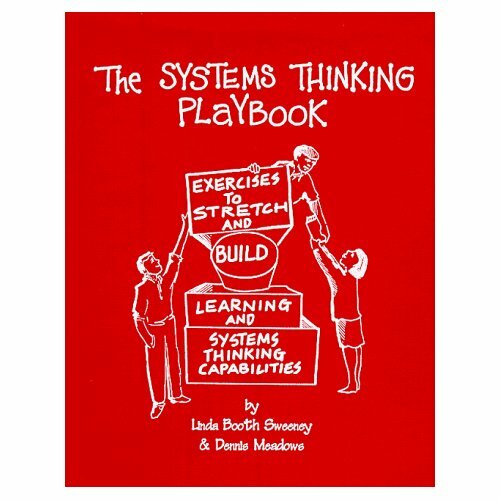 The exercises remain relevant, flex to different learning objectives and give folks a chance to learn to “think about systems” while having fun. 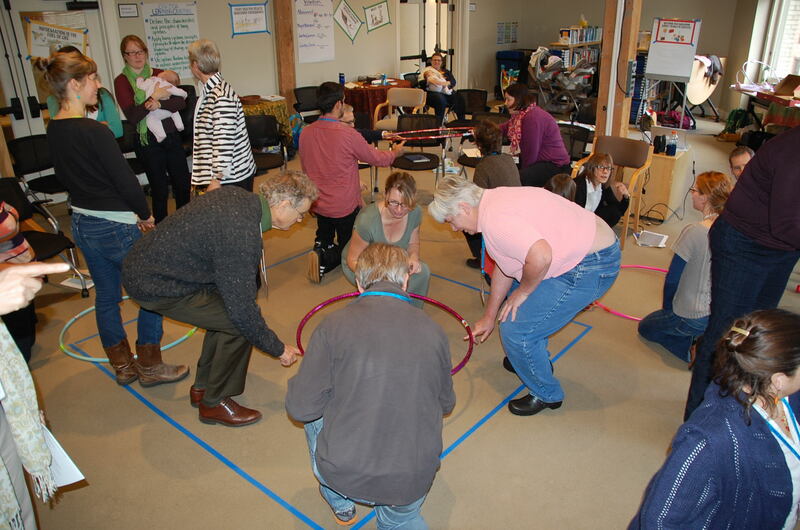 Throughout the two-day seminar, we wove in five different Playbook exercises. Each one was designed to help the students explore, experientially a particular perspective or systems principle. The pictures below show us doing the Avalanche game (see page 215 of the Playbook for the full set of instructions and debrief). Who said learning couldn't be fun? 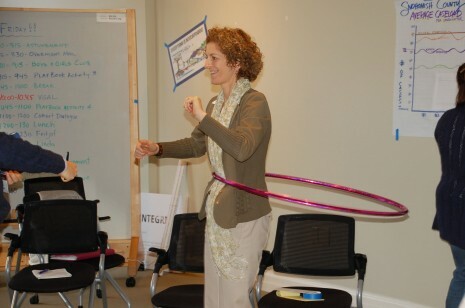 Imagine that this hula hoop is a problem – it could be low market share, GHG concentrations in the atmosphere, the gap between the rich and the poor. What happens? 90% of the time the hoop goes up instead of down. (This doesn’t happen if the hoops are too heavy). From there, you’ve got the group’s attention. Why did this happen? Where do we see this happen in real life — increases in GHG emissions, environmental damage, widening gaps, lower market share — when we’re looking for the opposite results? A key insight here is that as long as the rules are in place, the hoop is going to go up. The rules produce the behavior. If you want different behavior, you want different rules. 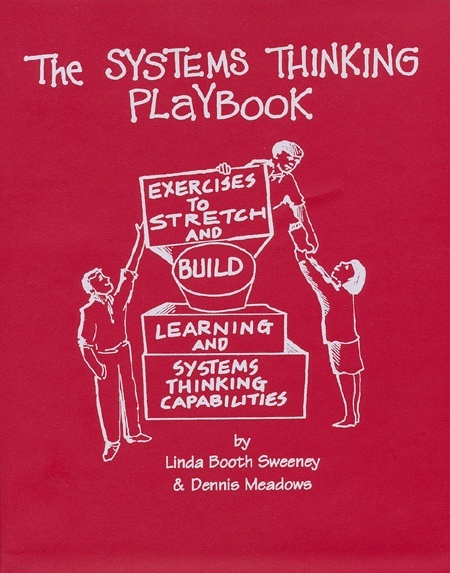 The Systems Thinking Playbook and DVD is available through Chelsea Green Publishers, Amazon, and soon through Leveraged Networks. (For more information on Leverage Networks, contact Rebecca Niles — rebecca@leveragenetworks.com, or Kris Wile kris@leveragenetworks.com). 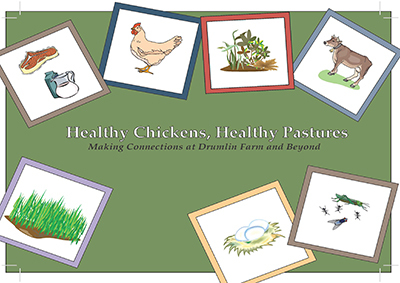 The Playbook will be available as an eBook (through VOOK) by December 15. 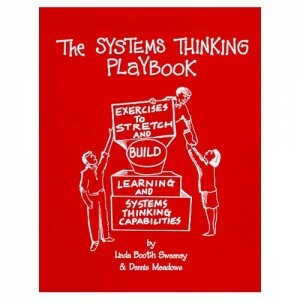 The Systems Thinking Playbook for Climate Change will be available in early 2014. 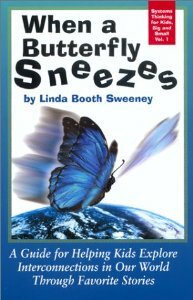 This version includes a set of new and adapted Playbook activities that will be useful to those who are trying to communicate with others about the causes and consequences of climate change (Authors: Linda Booth Sweeney, Dennis Meadows and the brilliant Gillian Martin-Mehers). Stay tuned. *Fritjof has a new book out on Leonardo Da Vinci as a systems thinker. 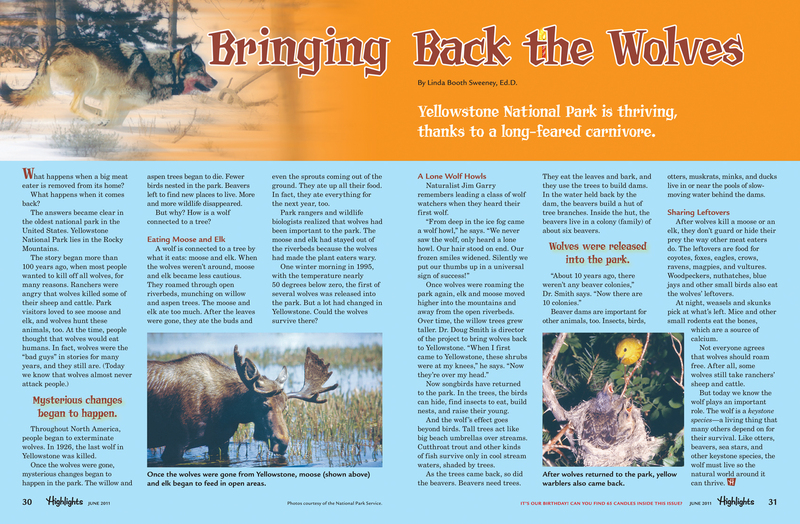 I’ll write more about this in my next post.